They’ve been some leaks surface which give a peak at the Nexus 5 – Google’s next device in to take over from the Nexus 4 – but a recent spec leak may just offer even more of an insight. What appears to be a leaked internal repair manual for the Nexus 5 seems to reveal the specs about the unannounced device. 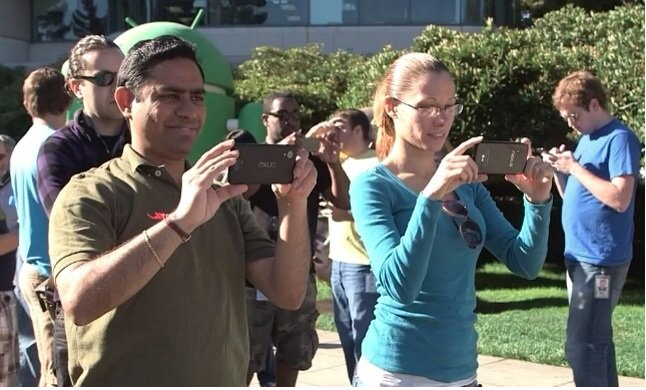 It appears the Nexus 5 will have a 4.95-inch 1080p IPS LCD display with LTE and a 2,300mAh battery. The leaked document also reveals that the Nexus 5 will have a 2.3GHz Qualcomm Snapdragon 800 processor and 2GB of RAM. In addition, it’ll have an 8-Megapixel camera, Qi wireless charging and NFC. These are all pretty impressive specs, but what is more interesting is that the Nexus 5 seems almost identical to the LG G2, at least when we’re talking specs. Take away the smaller screen from the Nexus 5, together with the lower resolution 8-Megapixel camera and smaller battery and you’ve got a G2. It’s not the first time Google have decided to use a phone manufactured by others and applied the Nexus experience and pure Android software. The Samsung Galaxy S4 and HTC One also received the same treatment, although they still remain manufactured by the respective companies. It seems Google have gone one step further and taken a device manufactured by LG, added some stuff of its own, and rebranded it as a Nexus device. The Nexus 5 is yet to be announced, but the Nexus 4 was previously released around October so it is thought the device launch could be immenient, especially since the Nexus 4 got a price hike presumably to clear out old stock ready for the Nexus 5. The LG G2 is a pretty good device, so it’s not bad news Google decided to use it as the model of their new Nexus 5, but what do you think?